You have journey by Ryanair, but you have big baggage? 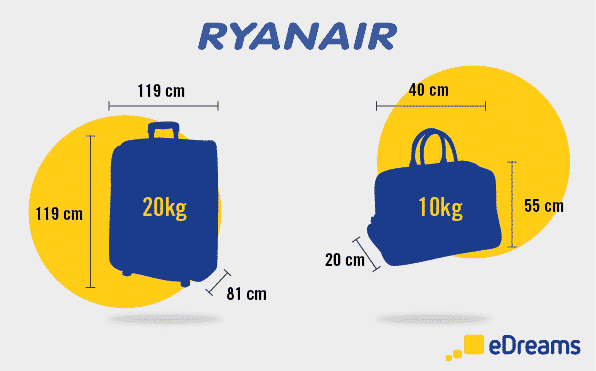 Standard hand baggage allowance is 56cm x 45cm x 25cm (22″ x 17.7″ x 9.8″), but Ryanair allows just 55cm x 40cm x 20cm (21.6″ x 15.7″ x 7.8″). This means that the bag you may have used on easyJet or British Airways won’t be allowed on a Ryanair flight. Look at this picture…maybe is will be useful for you. Have a nice journey and cool stay in Purple Nest Hostel.